Could A DWI Charge Affect Child Custody? Texas has strict DWI (driving while intoxicated) laws. Therefore, even a first offense DWI has severe consequences. Are you currently in a child custody battle? If you’ve had a DWI, this can affect your child custody case. When the courts decide the best parent for custody, they will look at your past criminal record. They may see your DWI charge and see you’re unfit for custody. But there’s hope. You’ll have a better chance if the DWI charge is years old or you were charged before the birth of your child. Here’s everything you need to know about a DWI charge and child custody. The situation is most severe if your DWI charge was recent. The courts want to ensure you don’t have a substance abuse problem. In Texas and the rest of the United States, custody is determined by a child’s best interest. Addictions impact your kids and a DWI shows up on your record. A DWI tells the court you may have a problem. If you don’t have a drug or alcohol problem, you need to prove it. While you’re in a custody battle, you’ll likely get a visit from a social worker. They will take your home, your employment, and other living situations into account. If they suspect your DWI was a one-time issue or they suspect you’re clean, you’ll have a better chance at winning your custody battle. If you’re battling an addiction, take this opportunity to get sober. Prove to the courts you’re receiving treatment and counseling. You may not get full custody. But the court will work with you to ensure you can see your child. What if the courts rule you as an unfit parent? You won’t gain full custody, but you’ll have options. As a parent, visitation is your right. If you’re still handling your DWI charge, you’ll be able to see with your child every week. If the courts suspect you have a problem, they will order supervised visitation. Supervision comes from a social worker or a noncustodial family member. Supervision is also not permanent; if you’re clean and handled your DWI charge, you can request a non-supervised visitation. What if your DWI charge is old? Past DWI charges have a lesser impact. If your DWI is over ten years old or before your child was born, the courts won’t look at the charge as severely. But there are ways the courts will still take it into consideration. Your past DWI isn’t a deal-breaker if it was a first offense, you paid off all of the fines and your recent driving and criminal background is clean. But if you have multiple DWIs and other arrests, you won’t win your child custody case. The judge will also look at your current alcohol and drug use. Even though a DWI is a crime, they understand one DWI charge doesn’t mean you’re an addict. But if they see other drug charges, such as possession or trafficking, you won’t win the case. What if you used to have a drug or alcohol problem? Any proof can benefit you. Provide proof of treatment, rehab, counseling, or participation in support groups. If you can prove you’re sober, you’re likely to win your custody battle. Your spouse also has an influence. Let’s say the custody battle is ugly. If your spouse has a clean background and you only have one DWI, they can still use your DWI against you. What if you received a DWI charge after the custody battle is over? If you’re granted your parental rights, they will change. If you have full custody, the courts will revoke your custody rights. Even if this is your first DWI offense, this charge is unforgiving. The charges will increase if your child was in the car with you. The courts will see this as child abuse. Your prison sentence increases. When you get out of jail, you’ll only have supervised visitation. If you have joint custody or visitation, the courts won’t be as strict. They will likely keep the same custody regulations, decrease your visitation or order supervised visitation. But this depends on the severity of your charge and previous charges. What if your spouse and child moved to another city or state? This is problematic if you’re on house arrest, probation, have a suspended license, or can’t travel out of your city and state. Unfortunately, the court won’t excuse your custody rights and allow visitation. As you can tell, your DWI can severely impact your child custody case. But why are the rules so strict? The courts can use a DWI against you, even if your first-offense DWI is old. Here is the golden rule all 50 states follow: custody determines the child’s best interest. Anything that tells the court a parent is problematic is used against them. A DWI is no exception. Simply stated, a past DWI tells the court you can get another one. If you were driving under the influence before, you have all reason to do so again. And even when your child is in the car with you. To divert this accusation, prove to the courts you’re sober. Just because you get a DWI doesn’t mean you have a problem. But the courts don’t know this. If your DWI causes family law intervention, either accept the ruling or fight it. To fight it, gather testimonials from friends, family, and co-workers as proof. If you did have a previous drug and alcohol addiction, prove you’re sober with rehab and counseling documents. Was there a night you drank too much, got behind the wheel of a car and got a DWI? You may think a first-offense DWI isn’t severe. But it can interfere with a child custody case. If you can prove you’re not an alcoholic or a drug addict, provide all of the proof the court needs. And if you are, seek treatment now and have a better future with your child. Did you lose a child custody battle because of a DWI? 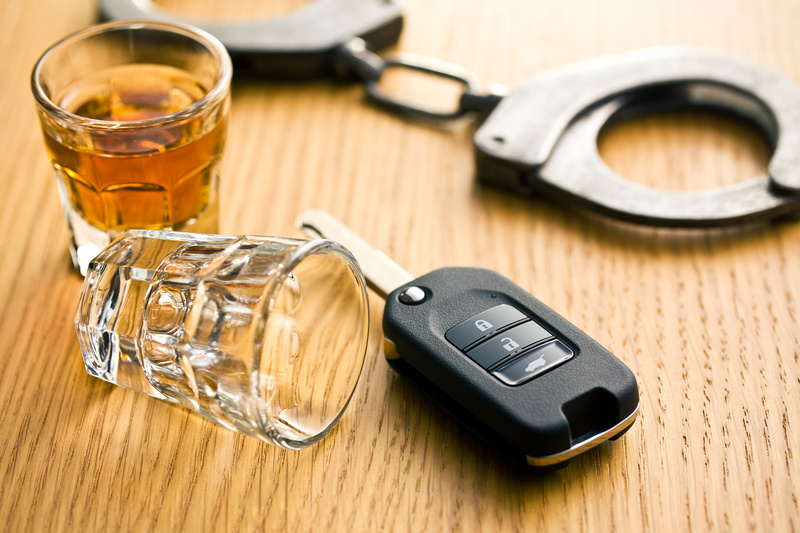 If you believe the court ruling is unfair, hire a DWI attorney in Austin.